Oh, good luck with your garden. I'm sure that you have many readers that can give you great tips. I used to enjoy container gardening when I had a condo with an outdoor patio. I grew the best lettuce one year. Keep us posted on your progress! I have no gardening tips because I don't really garden; however, I have been thinking about starting one next spring. I think growing my own veggies would be really neat. How hard was it to set up the garden you have going on? The best tip I can offer is to add "gardening" to your intrests on your profile, then click on it. There are a lot of very wonderful garden blogs out there. As to the old argument about organic vs other, organic just plain tastes better! Good luck with your garden! I'm making my first attempt at keeping a tomato plant alive :) It's survived two months now, this is an all time record! You will have so much fun with your garden. I started planting 15 yrs ago here at the homestead. At first it was just shrubs trees and flowers. 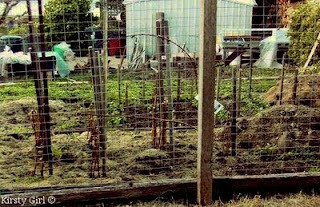 The past 3 yrs I have grew peas toms peppers onions & potatoes all among my other things. Ihis yr. I tryed mint & basil. They are both really better fresh. I dream of my own little potting shed with one side housing a green house and a small tool shed looking like a old time outhouse. Some day. Good luck! Gardening is A LOT of work...and growing veggies is awesome and good for you as you mentioned! I don't take care of mine like I should..mayabe the hot & humid weather has something to do with it!! I have 1 tomato plant and then some flowers. Raspberries too and this year the plants don't look so good...we have a local "farmers market" that sell fruits & veggies. Looks you live in a wonderful area. Good luck! Our garden is doing great! We make sure to put manure in the soil every year and it makes the plants grow so big! Thanks for stopping by my blog! My comments have returned from Blogger and now they are no longer "lost". i'm still very much a beginner gardener but have learned a lot and gotten so much enjoyment out of it. you'd be amazed at just how much food a small patch of a garden can bring. and taking an organic approach to it makes it even more challenging and fun, and gives you a great appreciation for our ancestors who had to grow their own without the "help" of all those chemicals! there are some great books out there on this topic. We've been gardening for a couple of years, but we are still very much learning!! (Ive blogged about the garden a few times, if you go back a little you will find them) We canned 50 pints of green beans from 3 rows of beans this year. Right now we have pumpkins planted, we are attempting to have a real pumpkin patch to sell pumpkins come Halloween. I hope it works!! We found an amazing tool this year, to help combat & remove weeds. It's called a scuffle or stirrup hoe, it works AWESOME!! Well, I have no tips for the garden, as my hubby is the gardener. He's from Russia and appreciates every little bit of space we have. In the front, he planted about a million daisies, and everyone comments on them (wish I could take credit!). In the back, we have a large vegetable garden, the cucumbers and tomatoes are my favorite! We don't have bunnies, but lots of crawly critters that attack the plants :( Good luck with your garden! Can't wait to see the progress. For us, gardening is just a natural thing to do. Seems I have grown veggies all my life. My grandparents did and my parents did and now we do. There are no better produce than your own produce. I don't know if we qualify as organic gardeners but we use nothing artificial--no pesticides and composted material for fertilizer. Hubby does use epsom salts, but only when something seems stunted. We grow potatoes, green beans, carrots, radishes, tomatoes, all kinds of peppers, onions, kohlrabi, zucchini, summer squash, pumpkins, gourds( gotta have those fall displays) and our neighbor has a huge sweet corn patch. Not only do we grow these things, we can and freeze many of them. My favorite is the mix of everything for soup. We can about 2 dozen quarts of the stuff and it barely lasts a winter! It is so good. You can add roast beef or chicken for veggie stew or spices and ground beef for chili. We have even grown kidney beans and pintos but discovered it is much easier to buy those and cook to can. Thank you for stopping by. The crowns are cute aren't they? Girl, I am no gardener so I have no advice to offer. It sounds like a lovely idea. Take pics. WOW, you are so adventurous with this gardening stuff! I wish I was as daring LOL...I can't wait to see pictures of it coming along! !